Q| GAIN ATTENTION. The invasion of Normandy didn't happen without extensive reconnaissance of the beach and cliff areas. This vital information helped the assault forces plan, prepare, and train for the steep cliffs that were awaiting them. As an assault force, Commanders cannot afford to waste precious moments on the beach waiting to gather information about the cliff and be more vulnerable than they already are. 2| PURPOSE. The purpose of this period of instruction is to introduce to you to cliff reconnaissance. 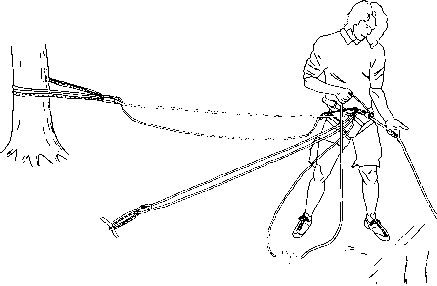 This lesson relates to cliff assault and fixed ropes.